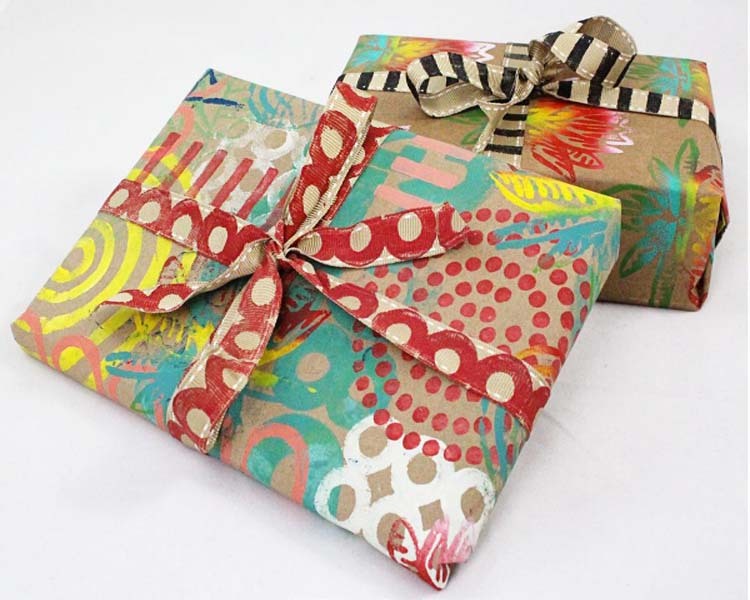 Project Description: Create custom wrapping paper to really personalize your gifts for friends and family! Remove handles (if any) from a paper bag. Cut the bag open and remove the bottom section so that you have a long continuous piece of brown paper. · Place some acrylic paint onto a piece of palette paper. 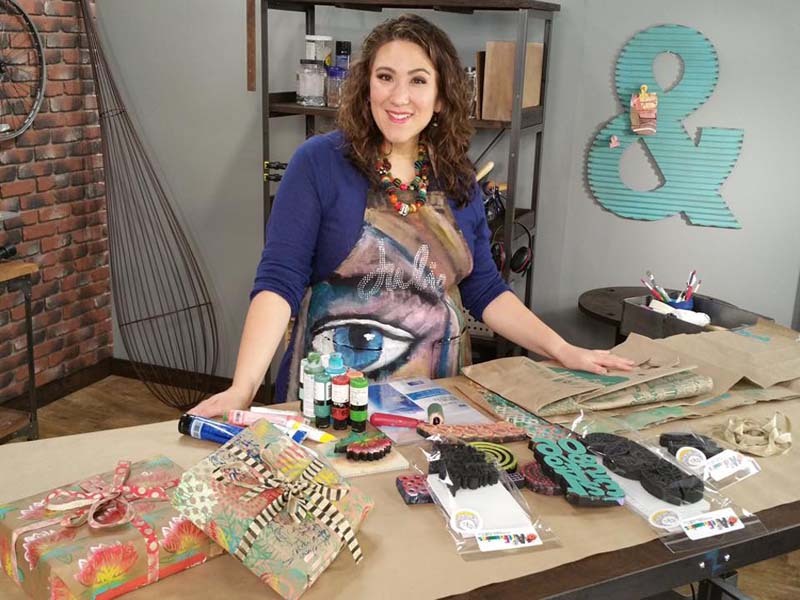 · Transfer the paint to the Art Foamie by rolling a brayer through the paint and then rolling the brayer onto the stamp. Stamp in various locations across the brown paper, being sure to go off the edge of the paper. Repeat steps #2&3 until you’re satisfied with the wrapping paper. Tile the smaller Art Foamies to create larger blocks. Add white paint to your colored paint to make it a bit more opaque on the dark background of the brown paper. Begin with larger Art Foamies. Choose colors that work together rather than fight with each other. Repeat similar shapes (such as circles) multiple times. Stamp the Art Foamie onto the Stamp Buddy with a permanent black ink pad. Fill the Stamp Buddy with acrylic paint (using a plastic card to assist), following the outline you stamped. Use the Stamp Buddy as a “paint stamp pad” and print across the brown paper in a brick pattern.